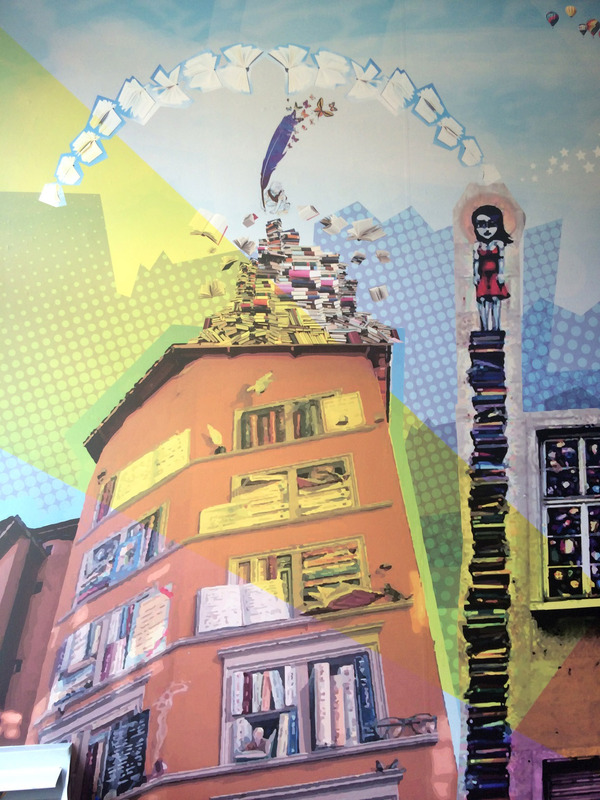 The brief: To transform the library from an empty space into an inspiring reading room for pupils. 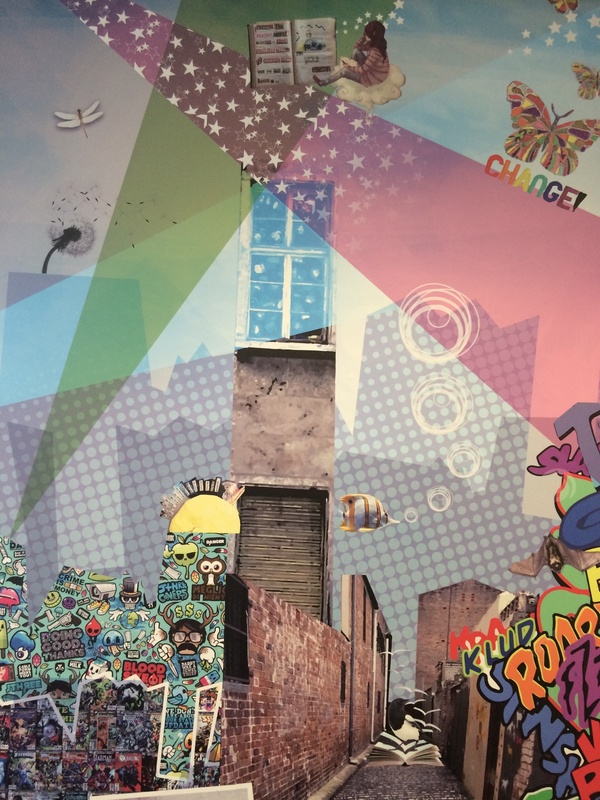 The process: Two Thirds Design were invited to The Braybrook Centre PRU to produce concepts through to finished designs on the theme of reading for teenagers. 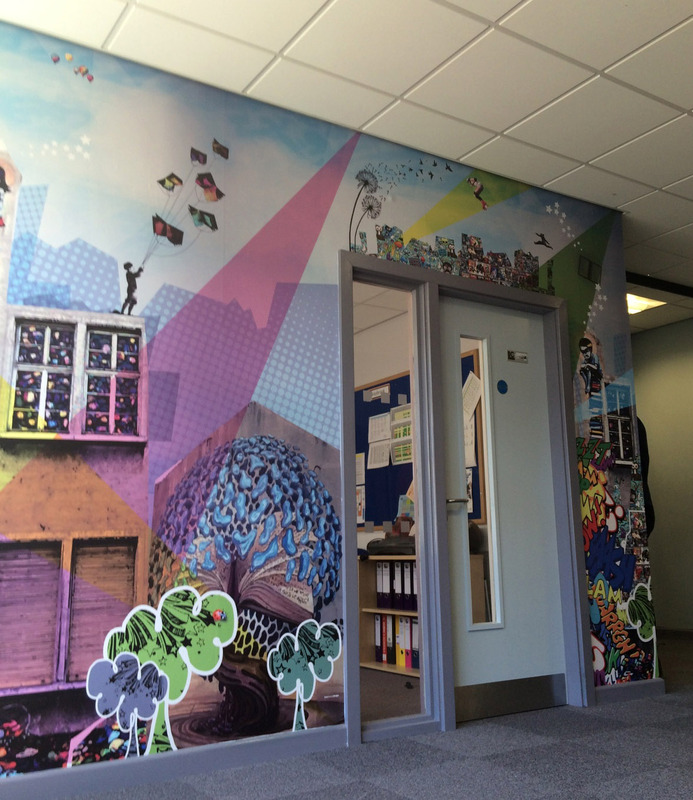 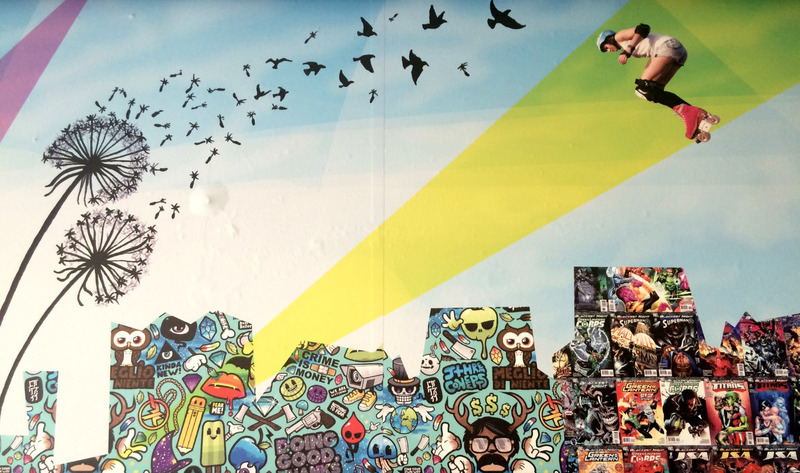 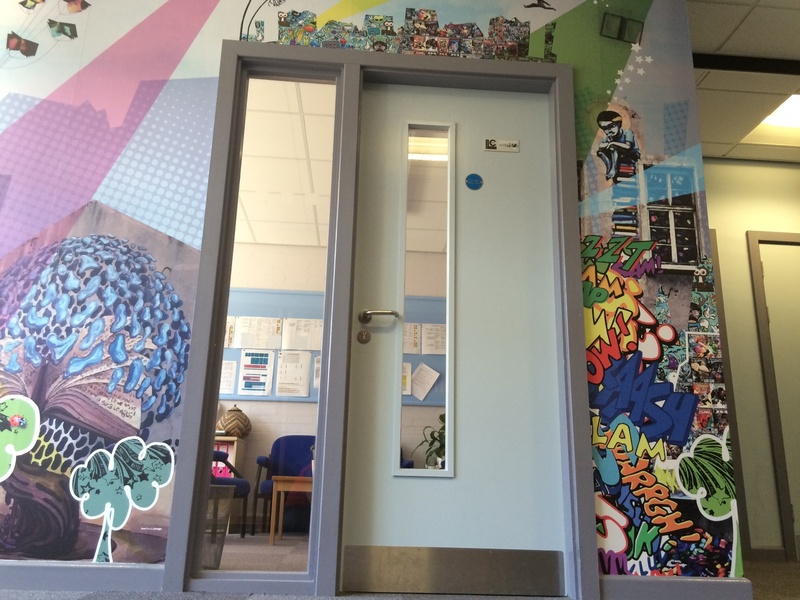 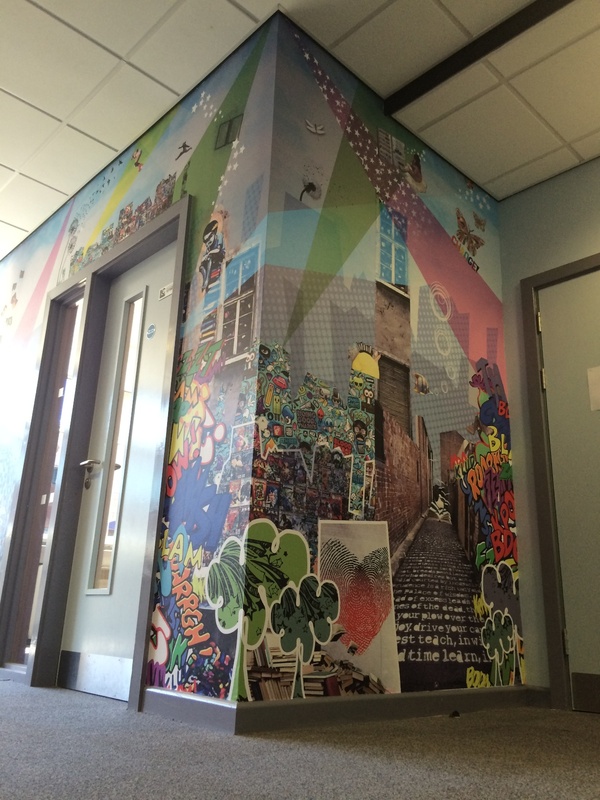 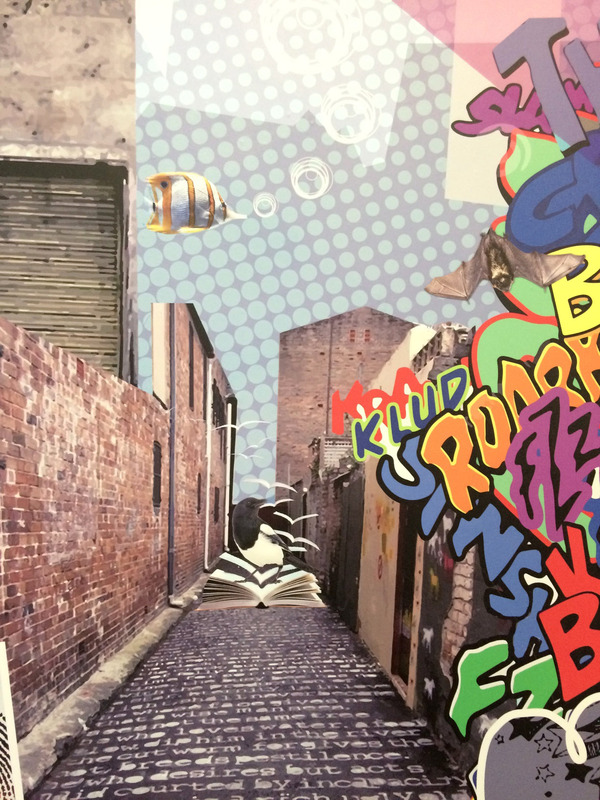 We used an illustrative graffiti style approach with the students own art and photographic montage imagery, combining high-resolution images with graphics. 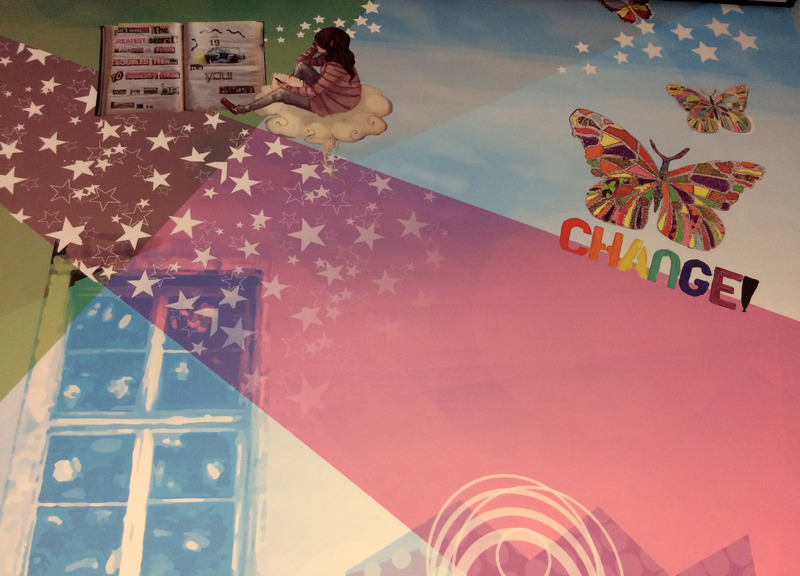 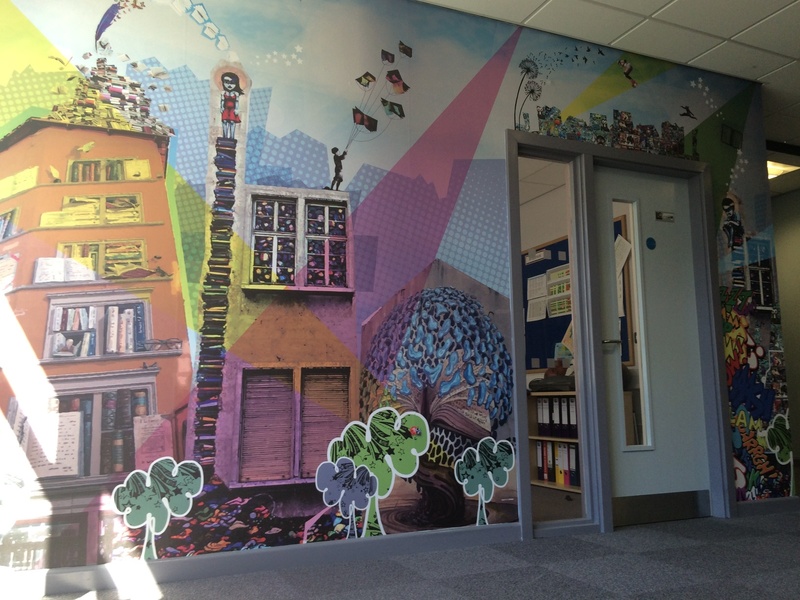 The end result: The creation of a permanent montage using the latest hard wearing self adhesive wallpaper, aimed to inspire pupils to read and use the library space.